Joining Ginny’s Yarn along again this week this time with some colour work. No, I haven’t finished the cabled sweater (I decided to show no more pictures of a nearly finished grey cabled sweater. you’ll get to see it when it is finally finished) and no I haven’t started any of my spring time knits yet but I had to get up to date with my “one hexipuff a day” plan and knitted over 20 hexipuff during the Easter weekend to get the full number for March. And now that I have sorted them with the ones I already had, I can see lots and lots of colours already. Other than that I started on Business Casual Socks. The pattern is fairly simple but it looks really nice. They will make a good in between knit. This year I seem to be into lace and other pattern sock knitting. I already made Hermione’s Everyday Socks which I love. Now the Business Casual Socks and next on my list are the Broken Seed Stitch Socks. I have already swatched them and know which sock yarn from my stash they will be made with. And I think I will make some February Lady Socks because they are pretty too. And then maybe some Argyle Socks for Michael. And if the February Lady Socks work for me (I’ve never made nor owned lace socks so I don’t know if I need them/would use them) I might make some Snowflake Lace, Black rose, Hühnerleiter, Interlocking Leaves, Twinkleberry, Bintje or Catnip Socks too. Or some beautiful Inlay Socks, or the Mosaic Pucker or Escher Cube Socks for Michael. 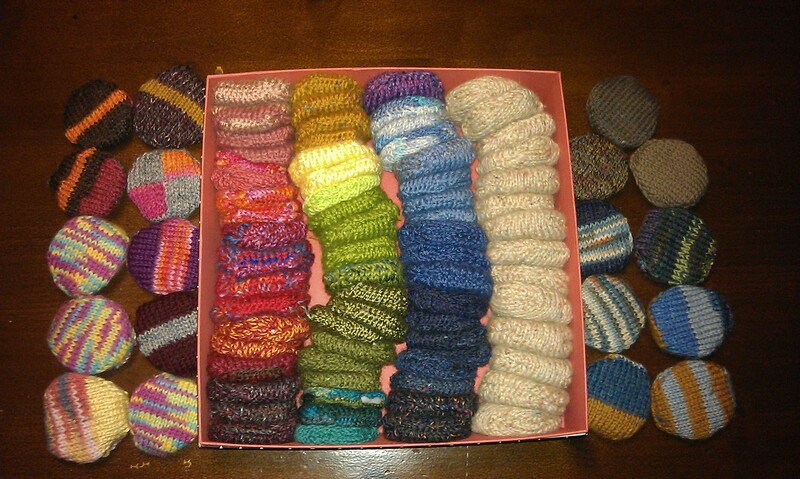 Doing at least some of them should melt my sock wool stash. 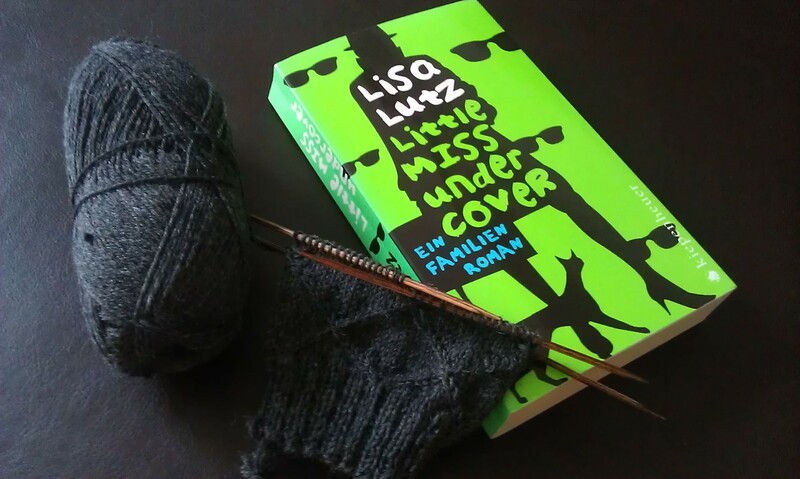 When it comes to reading I finally finished the “Die Akte Vaterland” and moved on to a book that funny enough has a English title “Little Miss Undercover” which is the German translation of “The Spellman files”. I wonder why they gave it another English title instead of going for a Proper German title when they translate the rest. It seems to be a quite funny family story about a family of private investigators. I’ve only read 50 pages so far and the real story hasn’t actually started yet but by now I know a bit about the family background which was funny as well. This entry was posted in Knitting & Crocheting and tagged Hexipuffs, Knitting, Socks, Yarn Along by kathatravelling. Bookmark the permalink.